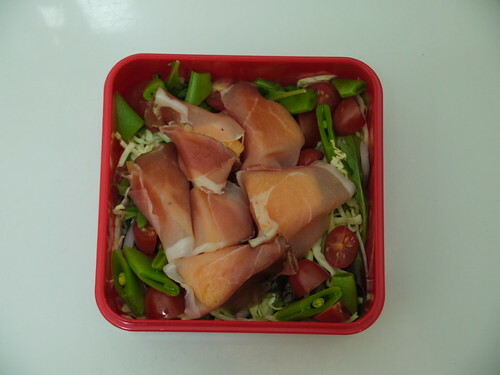 ham Archives - Wots For Lunch? When I bought this spanspek (also known as cantaloupe) I knew that I wanted to eat it with prosciutto or a similar style cured ham. The only cured ham the supermarket had at the time was something called spek which I’d never tried before. That didn’t stop me from buying it though. I’m not going to lie, the alliteration in the title tickled me, but I found the flavour of the spek was too strong for the melon. a salad with shredded cabbage, red onion, sugar snap peas and baby tomatoes. 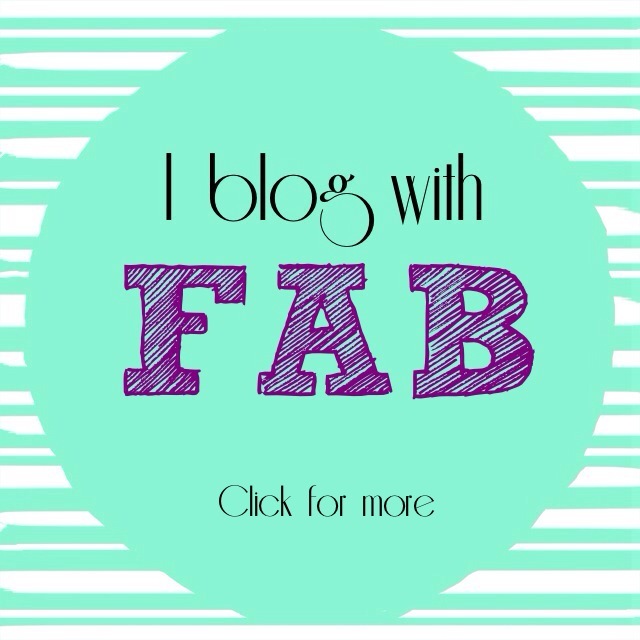 I’ve been a little scarce on the blogging front lately. The combination of a broken camera and succumbing to the nasty bug that is doing the rounds has kept me from packing/posting any lunches. Today’s post is a lunch I packed last week that I photographed with the camera in my phone. 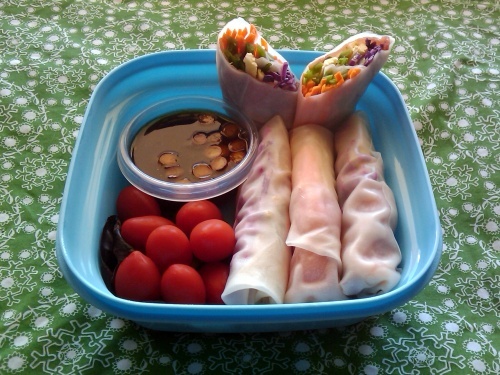 It contains my first attempt at making a variation of Vietnamese Summer rolls. They didn’t turn out too badly, but are probably best eaten right after you make them and not left in the fridge overnight as I did.